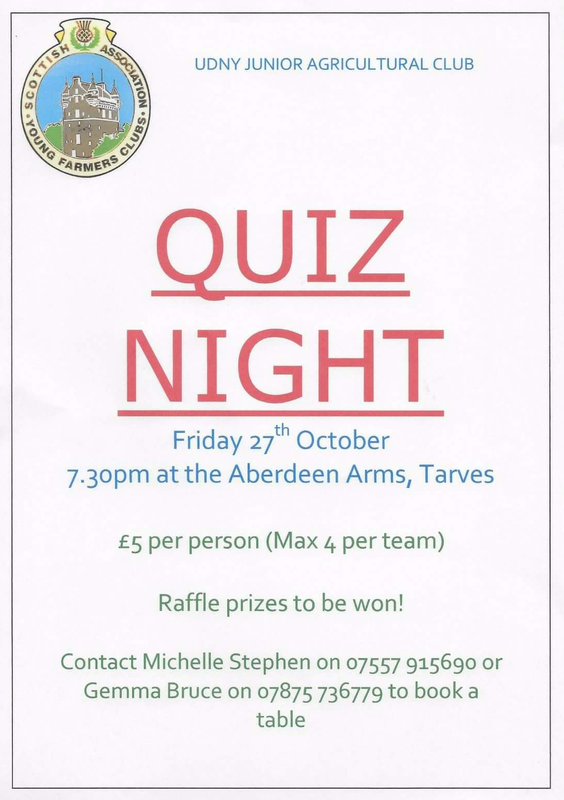 Udny Young Farmers are holding a pub quiz on Friday 27 October 2017 at the Aberdeen arms. Open to all. A fun evening of fundraising so get your thinking caps on.